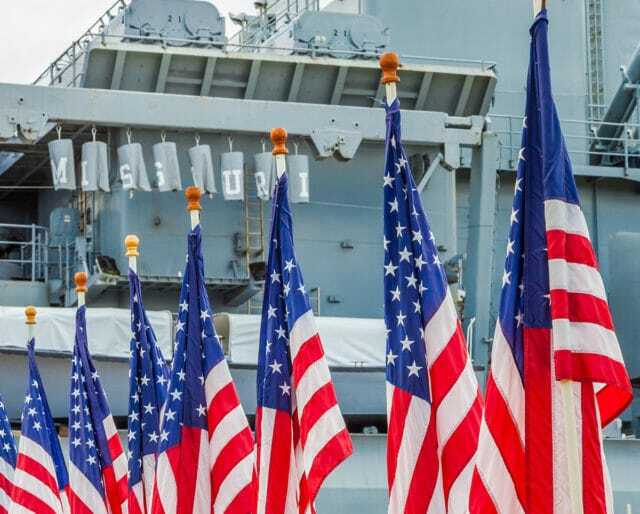 A day of infamy, the day Japan attacked the United States at Pearl Harbor, is commemorated with the National Pearl Harbor Day of Remembranceeach year on December 7. On that day in 1941, more than 2,400 people died in Japan’s attack on the Hawaiian base of America’s Pacific Fleet. Hundreds of aircraft were destroyed or damaged, as were most of the ships in the harbor, and thousands of service men and women were killed or injured. It was an unprecedentedsurprise attack that precipitated the United States entry into WW II as we sided with the Allies and declared war on Japan. Find a local organization sending care packages—there should be one in your community. Basic grooming needs, phone cards, canned treats, even just a kind note of appreciation are all simple expressions of concern that mean so much to soldiers thousands of miles from home. Get your church or civic organization to help and your impact will be so much greater. The families left behind often struggle with expenses and loneliness while their husbands and wives are overseas. Adopt a family in your community and be there to offer help. It could be as simple as attending the kid’s games, dropping off some food, or giving a gas card. Small acts of kindness can help keep a family together even when they are apart. The life you are living today would be impossible without the sacrifices of December 7 and of all the wars this country has been in. Honor the memory of those lost by living the best life you can, and work to make life better for those coming after you. The United States was in peace talks with Japan when Japan launched 350 warplanes in a surprise air attack on Pearl Harbor, home of the Pacific Fleet. 330 U.S. planes and 19 ships were damaged or destroyed, and thousands of people were killed or injured. Japan’s designs on the Philippines, then a territory of the United States, precipitated theirattack on PearlHarbor in an attempt to destroy the Pacific Fleet and buy time for them to conquer what they referred to as the Southern Resource Zone. Up until then, the mainly isolationist position of the US prevented our entrance into WW II. That position disintegrated with the attack, as the American people united in a call to war —a call that eventually lead to the Allies winning that war. This is a good time to think of the hardships and ordeals endured by our service men and women every day and everywhere in the world. The United States is in a position of being the policemen of the world, with hundreds of thousands of service men and women deployed in the protection of our country and people everywhere. Remember them in your actions and your prayers.